As I bring to a close the most challenging year of my life, I cannot help but be filled with an overwhelming spirit of gratitude. I am so thankful for your words of encouragement throughout this arduous process, for the countless acts of service to me and my kids, for your support of my events, and for your generous donations. Because of your generosity, I was able to fly to Baltimore every few months to begin the reconstructive surgery process with one of the best burn reconstructive surgeons in the world. Your donations allowed me and my children to be sustained financially for this period of time that I have not been able to work due to my injuries and the recovery process. Additionally, your donations assisted me in purchasing a Total Contact burn compression mask that is needed to reduce my scarring and aid in my healing process. I appreciate every dollar, every word of kindness, and even the smallest act of service has not gone unnoticed. This journey is far from over for me, I still have several more surgeries to endure and it will still be several months before I can go back to work full time, but thanks to your help I have made so much progress. Today, I am elated to announce that the Christy Sims Foundation has recently been approved as a 501 (c) (3) non-profit domestic violence organization. We have been working tirelessly for months to achieve this designation. Our long term goal from the very beginning was to establish an organization that would benefit countless other survivors of domestic violence; this has never been just about me. Due to the Christy Sims Foundation now officially being a 501 (c) (3) non-profit charitable organization and because I have elected to continue to serve on our board and in my role as president, my children and I will no longer be able to directly benefit from donations given to the Christy Sims Foundation. From this point forward, all funds donated to our foundation are now tax-deductible and will be used solely for the benefit of “other” survivors in the form of educational programs, counseling, grants, and referral to resources that will assist them in rebuilding their lives. As I said, my journey to full recovery is far from over and I still need financial assistance. If you want to assist me and my children personally, you can donate directly to me, or you can support the efforts of my newly formed for-profit company, Courageous Christy, LLC. It was necessary for me to start this entity so that I would have some way of financially supporting me and my children. 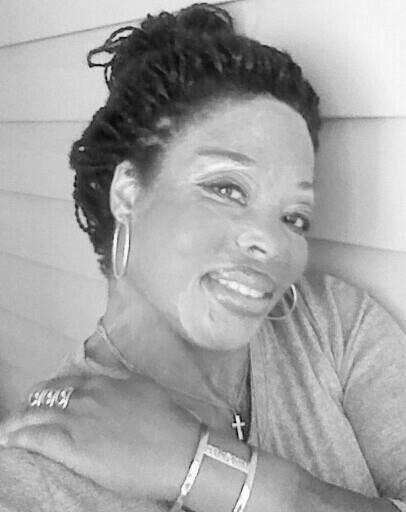 Courageous Christy, LLC and the Christy Sims Foundation are separate entities with the common goal of empowering and uplifting other people. Under the Courageous Christy, LLC umbrella I will hopefully be able to sustain myself financially by authoring inspirational books and domestic violence manuals, continuing the practice of professional counseling, motivational speaking, and from the sale of the Courageous Christy branded products and services. I would be remiss if I concluded without a special thanks to my mother, Elaine; my brother, Anthony; my children’s father, Machon Sims; my attorney, Odis Williams, Inger Jackson Garnett, LaNese Harris, Jonell Myers, Maggie Kempken, Laci Texter, Charles Sperling, Ralph Long III, Joseph David Smith, Dr. Cherry Collier, Dr. Benjamin Stong, and Dr. Robert Spence. We are looking forward to an awesome new year. We can never thank you enough for all of the support you have given us thus far, just know that our plan is to pay your kindness and generosity forward and to help countless other survivors of domestic violence for many years to come.